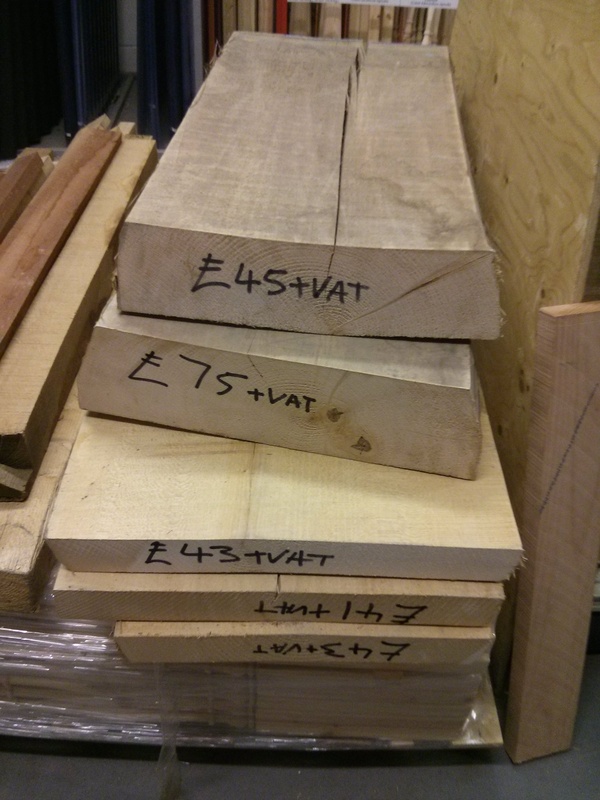 It’s probably fitting that my first proper post this year is about buying more wood, rather than actually doing anything with it! I have a couple of days off work to coincide with a school holiday, so after a morning pottering around town getting haircuts for most of the family, I had the afternoon to myself. 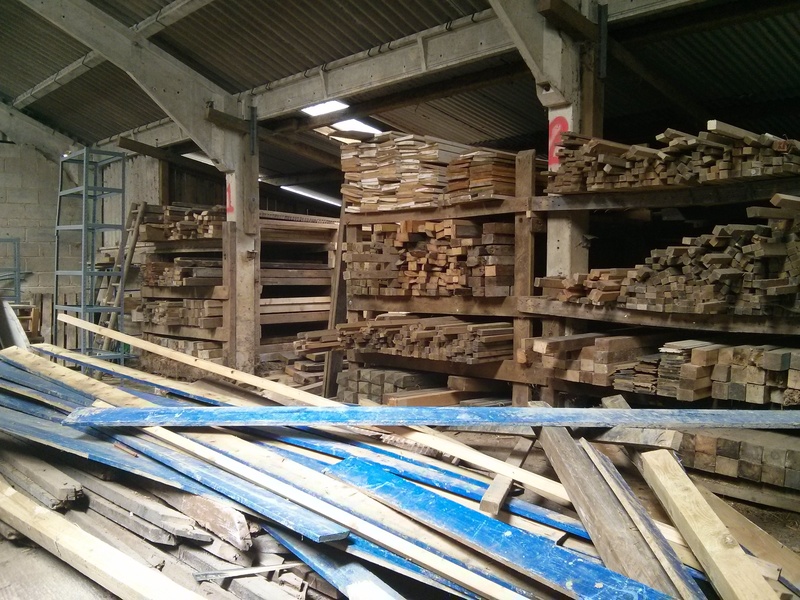 I went to check out a local Wood Recycling Project which I’d driven past a few months ago. 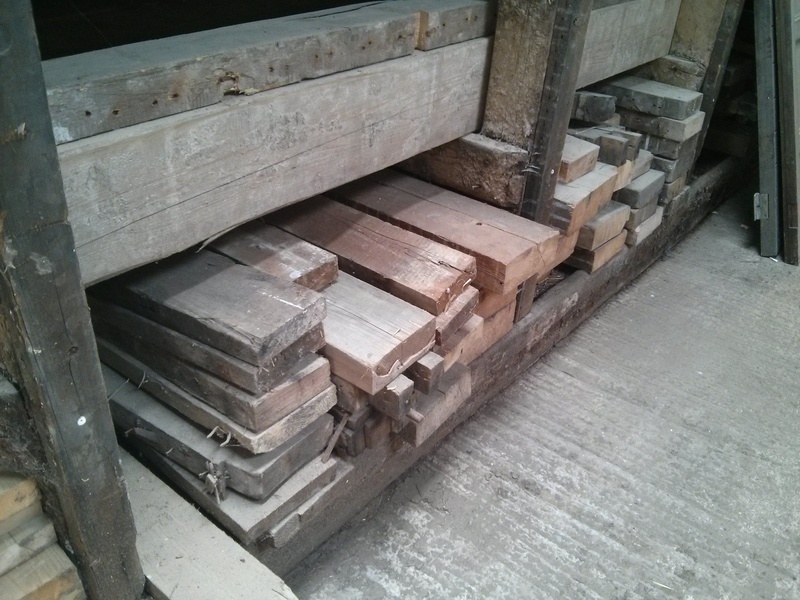 As well as all the pine, ply and OSB/chipboard you’d expect from a project which provides wood waste collection services to the construction industry there are other more exciting things, such as cable drums and offcuts of oak beams from a local timber frame company. 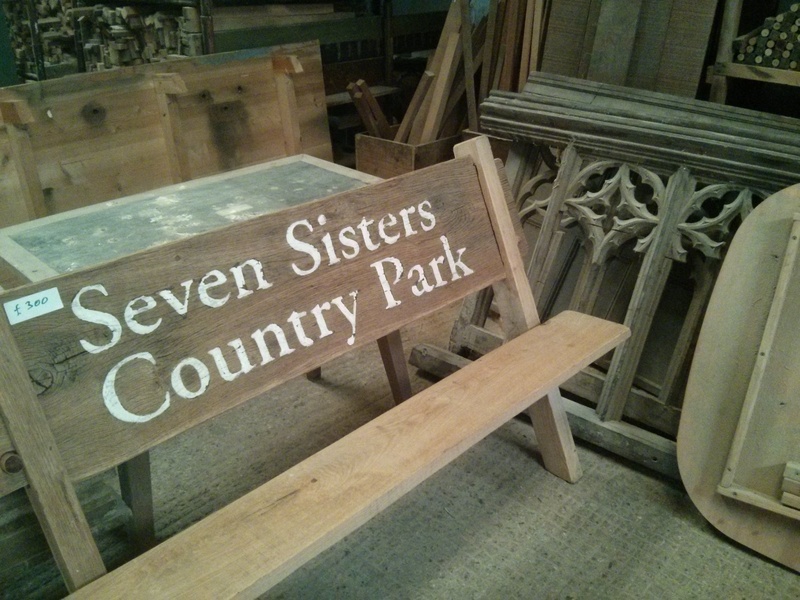 The project seems to make things from some of the timber and sell the rest. Anything that can’t be sold will either be broken up for firewood or chipped and composted. I didn’t buy anything this time, but I’ll definitely be going back here. 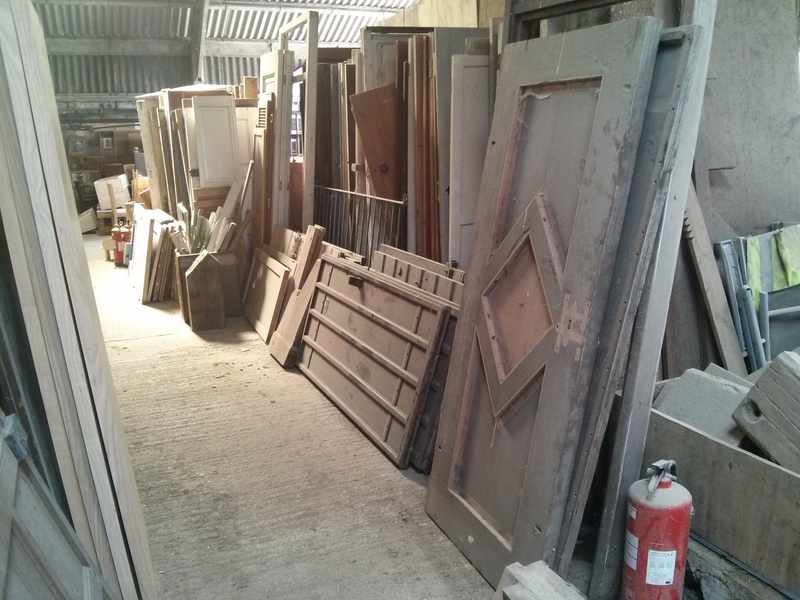 After the Recycling Project I went over to Wenban-Smith to check out their off-cuts section. 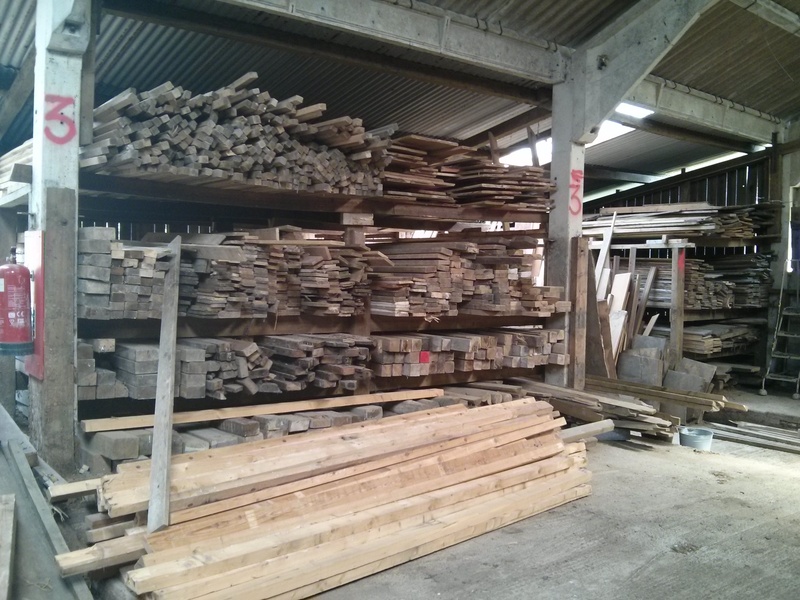 I didn’t buy any of those, but ended up with an assortment of Oak (including the 4″ x 8″ monolith visible in the photo below! 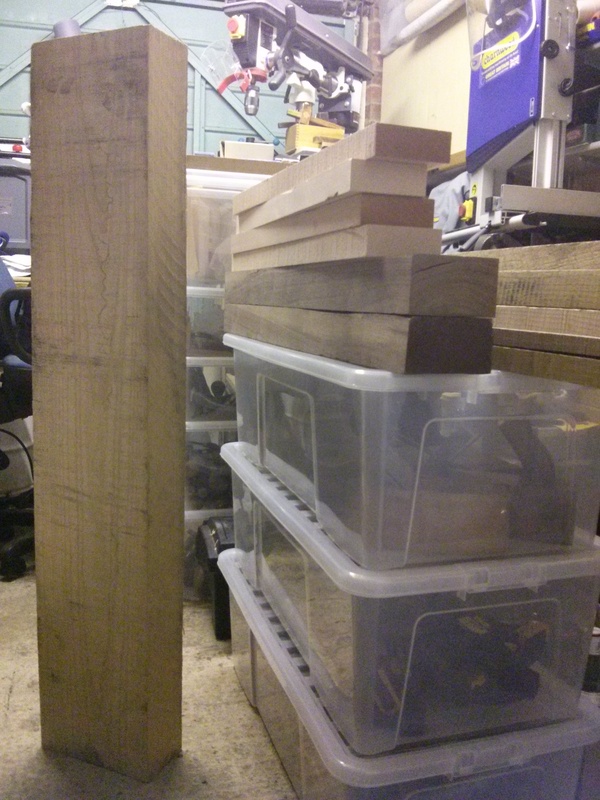 ), Walnut, Beech, Ash and a couple pieces of Cedar. 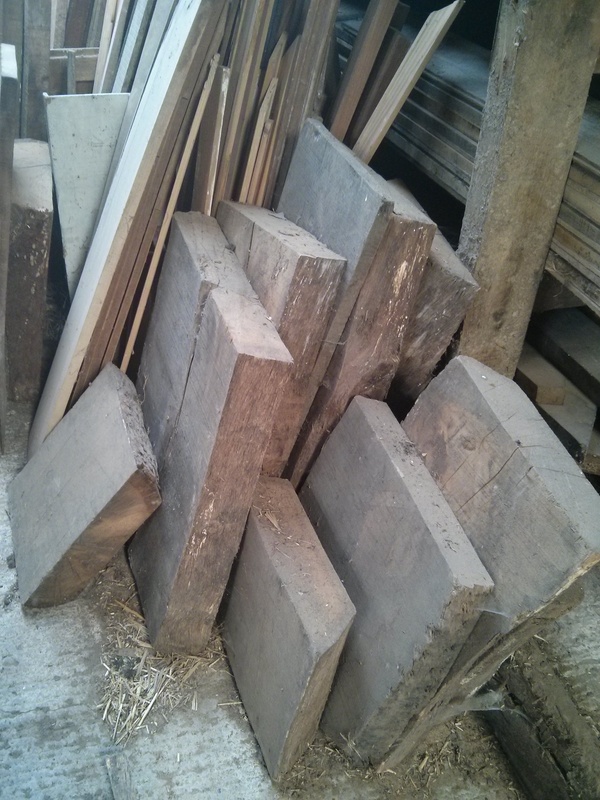 This entry was posted in Purchases, Wood and tagged ash, beech, black walnut, cedar, oak, recycled timber, recycled wood, timber, timber storage, timber yard, walnut, wenban smith, wenbans, wood, Wood Recycling Project. Bookmark the permalink. 1 Response to Yet more offcuts!